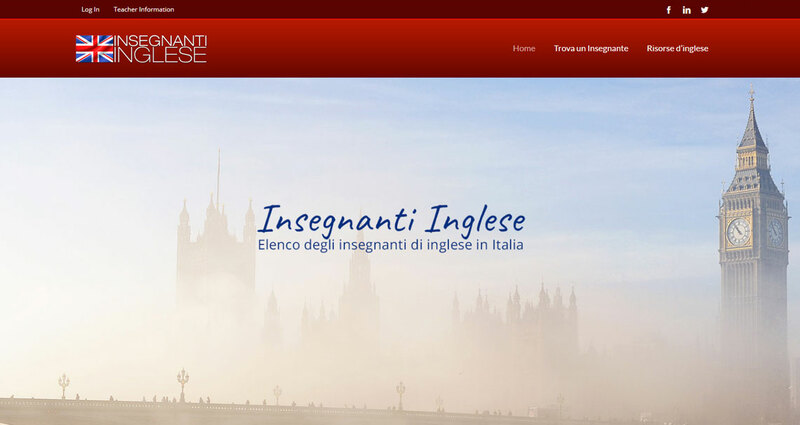 The insegnanti-inglese.it website is a bilingual website, created in September 2015, one of many we have created for teaching groups in Italy. After enjoying success with several regional teaching directories, Insegnanti Inglese was created to see if the concept of regional directories could be extended to cover the whole of the country. The site consists of a public section, where members of the public can look for and contact private language teachers, and a private membership area open only to registered individuals. In order to incorporate a membership and payment system, the site was created using WordPress and incorporates considerable coding to achieve the required results. Based on WordPress, the Insegnanti Inglese website allows owners to modify the website whenever they want, adding or deleting pages or even sections of the website relatively easily. Teachers who wish to register on the site can do so automatically, pay their membership fee and then build and manage their profile page without any management involvement. The site is hosted on our servers and we manage security, backups and program updates. Costs for a similar site; approximately £800 - £2000 depending on page numbers, required features and functionality.